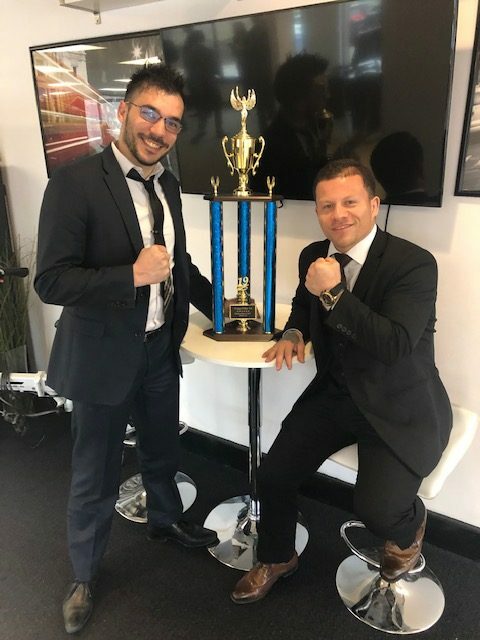 CEO Ramses Gavilondo with MMA fighter Luciano and his winning trophy! We support our employees and our work family! Fast Trak sponsors Luciano in his MMA fighting career!